Any Resto Shamans here that need tips? I'm doing pretty well as a Resto Shaman in raids, but I have very little PvP experience. 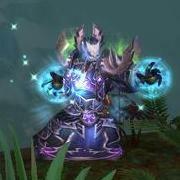 So, I am wondering if you have general playstyle tips for a Resto Shaman with a strong PvE background beginning at both arenas and battlegrounds (important spells, positioning tips, etc. ).